Decorate the tables at your wedding reception in a way that makes a statement. 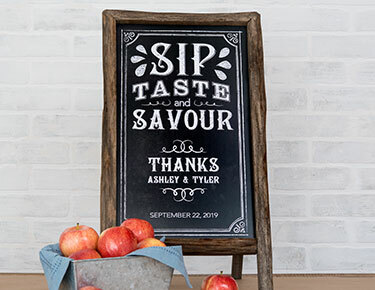 Whether your style is romantic and elegant or rustic and whimsical, Weddingstar has everything you need to create a tabletop display that your guests will remember. 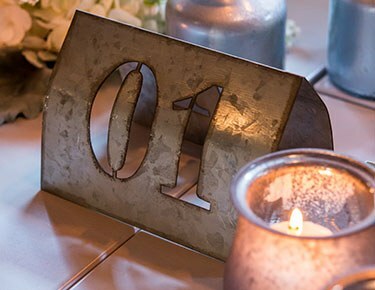 Before you start table planning for the wedding, check out our entire selection of high-quality wedding accessories for tables.Show your guests to their seats in style with table numbers that add to your wedding's theme. 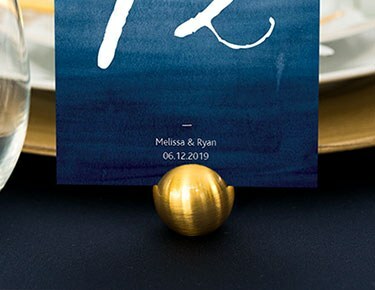 Tent-style table cards are affordable options made of high-quality paper, but they can be customized to suit your style. Choose a simple number card with black and white filigree, or opt for a colorful tented number with feathers, flowers or other designs. Weddingstar also offers baroque frames for displaying table numbers, laser-cut metal table numbers with sleek, modern designs and even chalkboard table number signs that allow you to print your own table numbers for a rustic look.For something a bit more unique, Weddingstar carries printed vinyl numbers that you can attach to anything that you want to use as a sign — from vintage plates to glass bottles and everything in between. 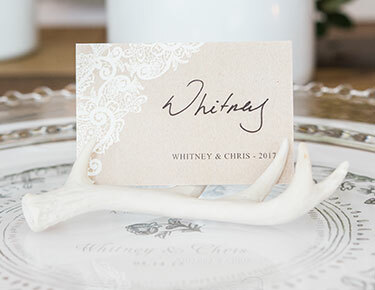 There are even wine bottle wraps that allow your table numbers to double as party favors.For decorating the table, Weddingstar offers faux birch logs and antlers that add a touch of style to barn weddings, Moroccan-inspired favor boxes for weddings with a more glamorous feel and die cut embellishments for the side of your guests' wine glasses. 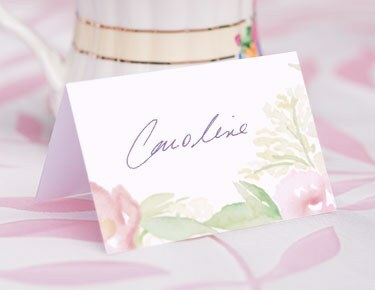 You can also mark each guest's individual seat with customizable place cards in your chosen style. 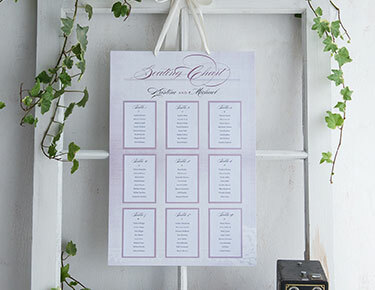 From simple, romantic laser cut place cards to place cards shaped like Adirondack chairs and even folded leaves, we offer one of the most creative selections of wedding table accessories you'll find anywhere.